Improving piano technique is something you can do by becoming aware of how the body works, and understanding how to balance and focus your movements to avoid unnecessary tension as you play. Learn some fundamental strategies that also work for beginners here. As you develop your piano technique, it is a good idea to acquire a bit of knowledge of how our skeletal system works- with tendons, ligaments and all- and not try to do things that our body wasn't made to do. To avoid any neck or back pain for example, it's vital to learn how to sit with correct posture when practicing the piano. Equally important is to develop a good hand posture as soon as possible. Learning basic hand and arm movements is the next step, as you work with easy finger exercises to learn how to do different things with different fingers. Building «strength» is not so much about strength when it comes to piano playing; but about awareness and balance. Using brute force is getting you nowhere fast, both musically and physically. Think about the movie «Karate-Kid», and how the young boy learned that you don’t need to be big and strong to be great at karate. But by learning how to balance and focus his body and mind, spending energy only where needed, he became very good at it! As pianists we need only a fraction of physical strength, the rest is balance, focus and mental preparation for improving piano technique. Together with some musical skills and finger drills of course! The Alexander technique is a method helping to «scale away» unnecessary movements and improper body alignment that can cause tension and pain, and is especially helpful to musicians. Check out "The Alexander Technique for Musicians" for more. Over time, the demands for a certain technical skill on the piano (or its predecessors) have changed. This is partly because the instrument itself has gone through so many transformations. From the lighter played Hammer Clavier, to the heavier hammer and key action of today's Grand Pianos, you need a different piano technique to play well. But not too long ago, piano teachers insisted on "curve-your-fingers-or-else...” with exaggerated curved fingers and resulting tension and pain, which was a technique derived from earlier instruments and styles of playing. Maybe the old saying "No pain, no gain" had something to do with it...? Technical advice of earlier times reflects its own time, and might not always be useful for the instruments we play today. Because of the ever increasing demand of improving piano technique, skills and musical excellence (due to the enormous worldwide competition pianists face today), some of the advice from earlier than the 20th century might even be causing injury. That aside- there's a lot we can learn from earlier technical advice (before 1800s) on how to play keyboard instruments. For example it can be used at advanced levels of interpretation to give us a better understanding of how earlier styles of music were expected to be played. With the development of the modern instrument (we still play today), with a heavier key action but also a greater sensitivity to the color of sound, the demand for a new technique caused pianists and pedagogues such as Tobias Matthay in the early 1900’s, to write about piano touch and balance, or "weight effect". Get a well-used copy here for free. Today we know that you can accomplish more, better and longer by gradually building up strength and flexibility, and by not pushing ourselves until it hurts. Sure, our body is amazing. There seems to be almost no limit to our abilities! But it also has an inbuilt "alarm signal"; if it hurts, it is wrong! So we really need to learn to listen to our bodies and pace ourselves. The increasing repetitive strain injuries (RSI) among musicians today, has resulted in a lot of research in how to improve piano technique without injury. More and more of the literature today also focuses on how to work on mental awareness and preparation and for a more “holistic” approach to performing music with less stress and anxiety. 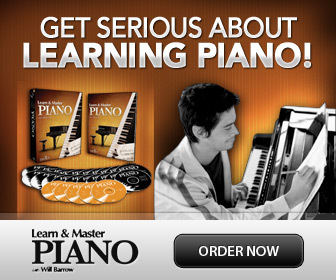 Learn how to properly sit at the piano. How to keep your hand posture. How to practice pain free. -But above all, learn to listen to your body! Piano playing should never hurt. Ever.